I was very excited to support Jon Cleary at the Backroom, Byron Bay on Thursday the 13th March, 2014. On stage with Dan Brown on keys and Grant Gerathy on Drums, we had an awesome time. It was so great to see so many of our local muso’s out. What felt like my whole community was in the room and I felt so warmed and joyous. 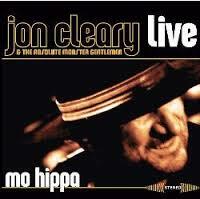 And then we all danced to Jon Cleary into the night! Thanks Mr Cleary, and Vitamin Music!